SYM is a Chelmsford based organisation dedicated to providing a highly professional service which supports students and schools. They aim to help schools provide a broad, rich curriculum especially in the areas of social, physical, emotional and spiritual health. To COMMUNICATE to children and young people the truth about Christianity. To provide opportunities for them to CONSIDER Christianity through extra curricular groups and events. To CONSOLIDATE through partnership with local churches. 6th to 10th February 2018, SYM hosted the internationally renowned band LZ7 in Chelmsford. Their tour, Illuminate, visited three of our senior schools and culminated in two evening concerts. Friday and Saturday evenings, at Skylark Church, Widford, several hundred young people came and heard about a life changing relationship with Jesus Christ. Many of the young people present, responded to a call to accept Jesus as their Saviour! It was an amazing time and there are sure to be many stories to tell in the days and weeks ahead! 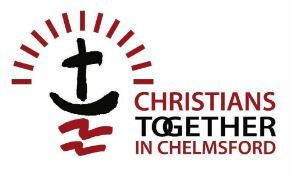 Chelmsford 24-7 Prayer partnered with SYM and encouraged prayer both before and during the week-long event. Read SYM’s subsequent newsletter which gives details of the impact of the Event –Click here.